This post is part of Rave Reviews Book Club’s BACK-TO-SCHOOL BOOK & BLOG BLOCK PARTY! Today, I’m posting from Athens, Greece. As part of the celebrations, I’ll be giving away a copy of The Ultimate Bundle of Fantasy Novels and Science Fiction Short Stories. This omnibus edition includes 4 full-length fantasy novels plus 23 short science fiction stories that will keep you on the edge of your seat. To win, all you have to do is leave a comment. Yes, it’s as simple as that. Two lucky persons will then be randomly selected by the RRBC and will receive an e-book copy of the bundle. So, keep reading for a fascinating trip down history, and don’t forget to share your thoughts and comments below. Good luck on winning my giveaways, and I’ll see you at the next stop of RRBC’s Back-To-School Book & Blog Block Party! Since July, my epic fantasy series, Pearseus, has had a new intro: the scene where the mysterious Whispers hand Styx the poison that will make her justice. Once again, the inspiration for this was taken from history, specifically from Mithridates, King of the Pontus. Yes, being king of Pontus on the southern shore of the Black Sea was a dangerous job. And Mithridates concocted one of the most well-known antidotes in antiquity (possibly with the help of his court physician Crateuas). Experimenting with different formulations and trying them out on condemned prisoners, he compounded various antidotes to produce a single universal one, which he hoped would protect him against any poison. Pliny (XXIX.25) attributes to Mithridates another antidote with fifty-four ingredients and remarks that the king drank poison daily after first taking remedies to achieve immunity. A hundred years after the death of Mithridates, Celsus recorded the formulation, which comprised thirty-six ingredients, all of which are derived from plants, except for honey to mix them and castor to enhance the aroma. The concoction is estimated to have weighed approximately three pounds and to have lasted for six months, taken daily in the amount the size of an almond. 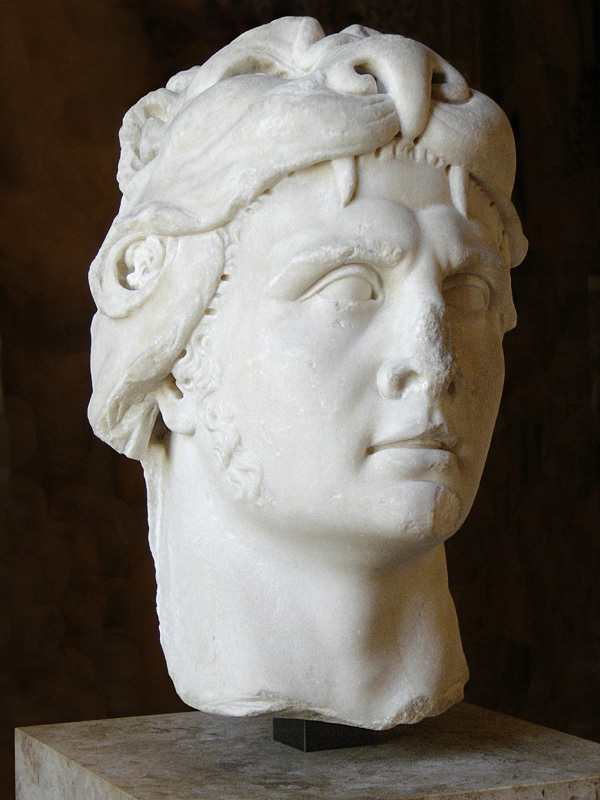 Mithridates then took out some poison that he always carried next to his sword, and mixed it. Two of his daughters, who were still girls growing up together, asked him to let them have some of the poison first, and insisted strenuously and prevented him from drinking it until they had taken some and swallowed it. The drug took effect on them at once; but upon Mithridates, although he walked around rapidly to hasten its action, it had no effect, because he had accustomed himself to other drugs by continually trying them as a means of protection against poisoners. These are still called the Mithridatic drugs. 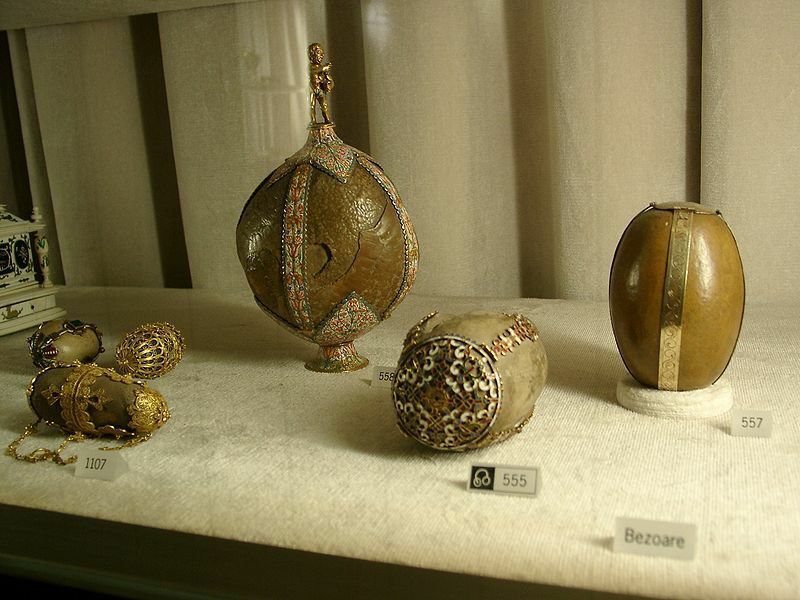 Can the origins of the bezoar be found in this story? As The Straightdope explains, The original bezoars (also called bezoar stones) came from the wild goats of Persia as well as certain antelopes and other cud-chewing animals. They were believed to offer protection against poison and for that reason were highly prized during the Renaissance by the Medicis, presumably for when they had the Borgias over. 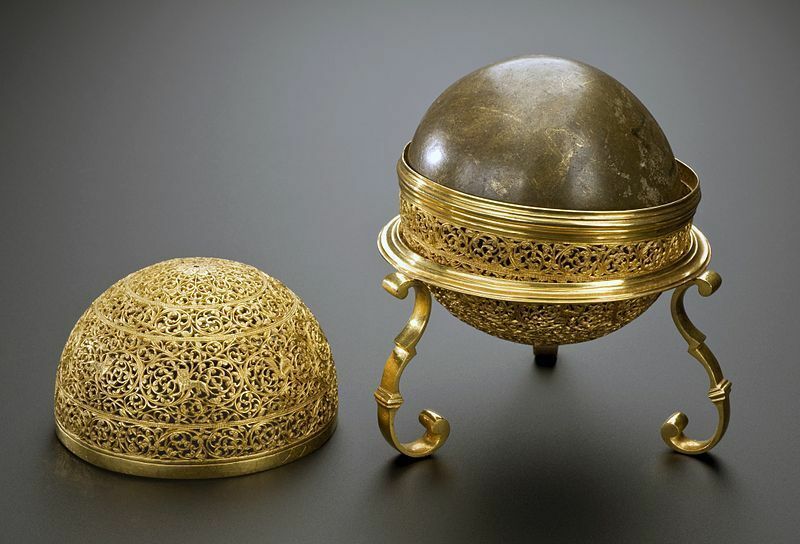 If you were too poor to afford a bezoar of your own, you could work around it—alchemists were known to rent them out for general healing. Bezoars were later obtained in the New World from Peruvian llamas, but these were held to be of inferior quality — although it’s gotta take a sharp eye to tell a good hairball from a bad one. A gold-framed bezoar was listed in the 1622 inventory of Elizabeth I’s crown jewels; make sure you look for it on the palace tour. As to their healing properties, it was believed that you could either ingest some crushed-up bezoar or, more commonly, drop a bezoar into a drink that was suspected of being poisoned. Alternatively, tiny slivers of the fist-sized balls would be shaved off and mixed into drinks to thwart assassination attempts or cure sickness. As one might expect, however, the stones themselves were also seen as status symbols. Taking advantage of this, a group of Jesuit monks in the small Indian state of Goa begun in the 17th century manufacturing artificial bezoars to sell to wealthy English patrons and royalty. The polished balls of crud were made of all sorts of strange ingredients including narwhal horn, amber, coral, and crushed-up amethyst, emeralds, and other precious gems, to name a few. Sometimes they would even include bits of naturally occurring bezoar. 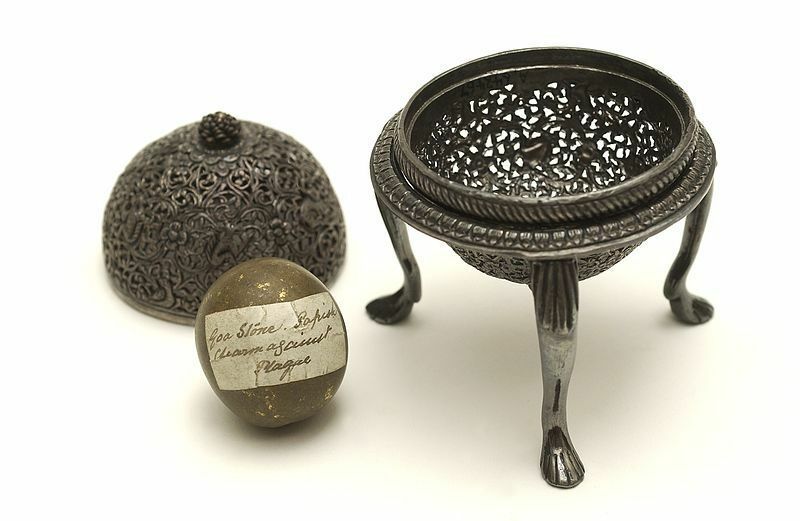 As Atlas Obscura reports, the most famous use of a bezoar was probably an experiment by the 16th-century French surgeon Ambroise Paré, who set out to prove that they were not actually the cure to all poison. A cook sentenced to be hanged agreed to be poisoned instead, just so long as he could be administered a bezoar immediately after, to be set free if he lived. The cook died just hours later, and Paré’s experiment had proved that the power of the bezoar was not quite what it seemed. Of course, it might also be that the very bezoar killed the poor cook: a rise in the sale of artificial bezoars, possibly including Goa stones, contained poisonous minerals like mercury. Even with Paré’s deadly experiment disproving the bezoars’ efficacy, they were not so easily defeated. The makers of the Goa stones still believed in their usefulness as a cure-all, as did the rich recipients who purchased them for as much as 10 times their weight in gold. The use of the stones only waned around the 1800s, although they are still as healing items in Chinese herbology. If you enjoyed this post, why not continue reading with more posts in the History category? Sorry I missed you on the 13th as I was traveling. Sorry I missed you on the 15th as I was travelingI love history and this was such a fascinating post. Thanks so much! Very interesting! Didnt Harry Potter use a bezoar on Ron Weasely when he drank some poisoned wine intended for Dumbledore? Not bad for a woman of little memory… whats there is quite leaky and full of holes, but writing lists help. ? Sigh… Fading memory – tell me about it… Sorry, what were we talking about? There is that. My experience is that Dads always sleep well. ? I knew I was doing it wrong! Good Sunday Morning, Nicholas! I’m sorry I missed commenting yesterday, but I am glad I visited today! Your site is visually stimulating and informative. I loved the story of Mithridates VI and his daily ingestion of poison. Reminds me of what scientist say is happening to us today with antibiotics. Anyway, I can see from the comments that you had a wonderful Party! Best of sales to you! I did, didn’t I. Sorry! I still enjoyed the history! Wow! Very impressive post! Glad I stopped. I know I left a comment early today, but for the life of me, I don’t see it now. Nich, hope your day was fabulous and tons of fun! Very interesting post. I enjoyed it and didn’t know some of the history here. Hi Nicholas, I posted on this on your blog and thought it would come here too. That’s what I get for ‘thinking’. To reiterate, I loved this post and now know what the Bezoars my family threatened me with getting if I ate watermelon seeds really are. I love your interesting historical little known facts. Enjoy your tour. Absolutely absolutely fascinating (if bizarre) information! Imagine a hairball displayed prominently in someone’s home… Disgusting! Great info! Thanks for sharing. This must be another Greek Mythology? Weird but interesting story. I enjoyed your post and learning new things. Congrats on your books. What a terrific post! My fingers are crossed that I win the giveaway. Lol I hope you enjoy your day on your. ? This is very interesting, Nicholas. I don’t believe I’ve taken not of a bezoar in any of the Regency Romance novels I’ve read! I shall pay closer attention in the future. Thank you for supporting RRBC and the Block Party! I hope you have a wonderful day and that you enjoy the rest of the month! I love learning new and interesting things. This post is just so informative and enjoyable. I keep looking at my cat with suspicion now. Hair balls anyone? Lovely site, and one I’ll be sure to revisit. Happy rest of your log tour day. That’s very interesting. I might use that in a story sometime. Thanks for the nugget of info!! I love researching history for writing fodder – sometimes I get so side-tracked! I have reference books stacked all over my writing desk. Sometime the truth is so much more unbelievable than fiction. Interesting post about poisons and antidotes – thanks. Great post, cool pictures. Very interesting stuff, Nicholas. Best wishes to you. A fascinating blog post Nicholas. 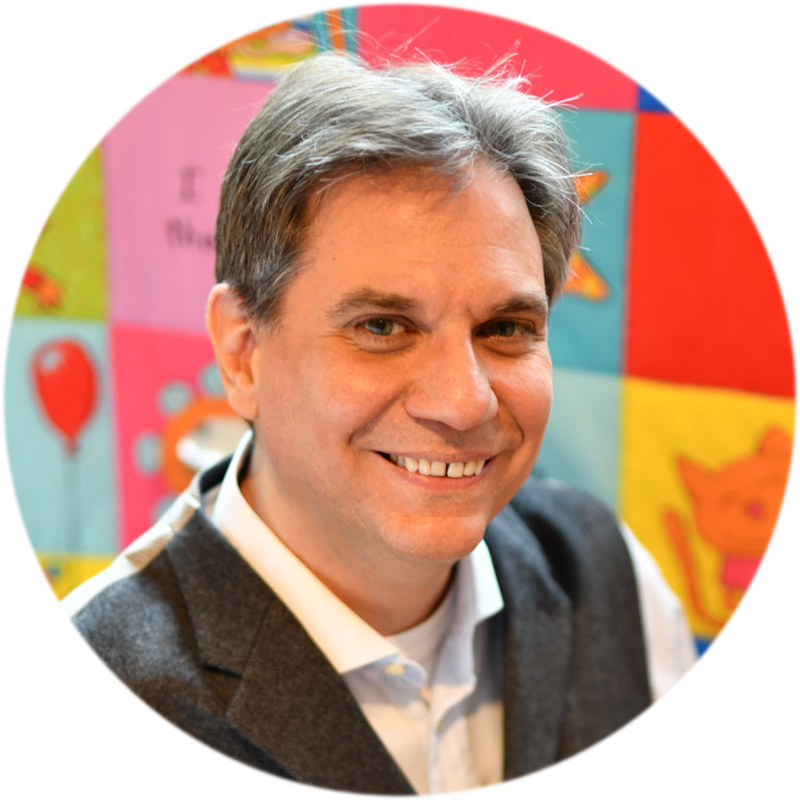 I have popped by your blog before as you write interesting content for writers. I will add your books to my TBR list. Shared on LinkedIn, Facebook and other social media. Have a great party! Really informative post today. I’ll have to keep this in mind as I’m reading work as well as when I’m writing future projects. Enjoy hosting the party today! Fascinating post, I really enjoyed it. I’ll definitely be checking out your books. Wow! I am impressed with your research and anxious to read your work. the story sounds intiguing. Such a fascinating post, Nicholas. I have to congratulate you on all your achievements and awards. That’s just remarkable and well earned for sure. Thank you, Staci, and welcome! Actually, the initial version of the post featured Pope Alexander VI, whom his successor (and political enemy) accused of dying when he accidentally drank the poison he had prepared for a cardinal. I changed that to feature Mithridates instead, since it’s not proven this was, indeed, the case. Staci, I thought I remembered a bezoar from Harry Potter too. I thought of you when I saw the Medicis mentioned. Excellent and interesting post, Nicholas. Thank you. What a very, VERY attractive site. I found it hard to stop looking at the pictures and reading the info. EXCEPT-the talk about HAIRBALLS! lol Induced my gag reflex…. Fascinating post! I’d never heard of a bezoar before today! I know, they seem to be largely forgotten nowadays. Indeed, it’s hard to imagine that they were still in use as late as the 19th century! Your research and vast information is quite fascinating. I am very interested in these historical/medical facts even though it is about poison. Thank you for such an interesting blog. Well done. If you enjoyed this, then be sure to check out the rest of my posts in the historical category! Lol – thanks and welcome. Don’t worry, I’ll delete this comment when the party’s over. The cops will never suspect a thing. I admit I had never heard of a bezoar before but they make for interesting reading…and all kind of story plotting ideas. Thanks for a fascinating post, and have a fabulous party day! Hi Nicholas, I really enjoyed visiting your post today?It’s amazing how much such accurate research does for one’s writing and your medieval historical novels, assassins and bezoars stones? – I hope I understood all the significances of the way assassins would go about their grim tasks then. Thanks so much for your wonderful blog? Yum. Nothing like a little hairball shavings in your morning tea! People are strange. These posts are great fun, Nicholas. Actually, the initial version of the post featured Pope Alexander VI, whom his successor (and political enemy) accused of dying when he accidentally drank the poison he had prepared for a cardinal. I changed that to feature Mithridates instead, since it’s not proven this was, indeed, the case. Great blog post! Fun to get to know you and your works. Shared! Love the bezoar’s magical properties. I’ll keep my sharp eye open. Always fun to visit a post of yours, Nicholas. There is always something new to learn. (I’ll keep the hairball in mind the next time I have to pass around the Hemlock cup. Thank you so much, John. Be sure to add some honey to the hemlock, as I hear it’s terribly bitter. Very cool post. Can I borrow one of your bezoars for the party route? Maybe they help with hangovers too. I still intend to get to the latest batch of short stories, and I’m making progress that direction. Thirty-one days, multiple stops each day. That’s a lot of drinking. Just looking for an edge. I love your RRBC blog post! So much rich history interwoven in an engaging manner. Bravo to you! I love history and enjoyed learning about the Bezoar antidote. Wow, just amazing. It’s incredible to think that an antidote to poisons was discovered so many years ago and yet people still die of poison. Guess the pharmaceuticals of today weren’t around then to grab his formula and market it. Or maybe they were and they have his antidote under lock and key! lol! 😉 I have Perseus downloaded, and it’s on my TBR. I look forward to reading it. Great information about poison. Thanks for sharing. Very interesting. I’ve heard of bezoars in passing, but thought they were a gem of some kind. Have to file this away for future use. Ever wonder what medical practices we have today will look odd and silly in the future? Not counting plastic surgery. Although that is necessary in some situations like accidents. I know. It was a terrible accident that I was born with that nose. Odd that you say ‘that’ instead of ‘this’. Are you pointing at someone else over there? Just Cyrano, staring at me from the mirror. That man is the envy of all snub-nosed monkeys. Fascinating post! Thanks for sharing. As I live not far from Pontus of those times but a bit more to the western part of the Black Sea, Romania, your post caught my deep interest. And indeed, there is information here that can be used in a story involving a crime. Best of luck with your writing! Yes, Brasov is a lovely mountain city. and not so far from Dracula’s birthplace. I live by the Danube. How tight the world is, after all! What an amazing blog post! This is the first time I’ve heard of a Bezoar, and I’m intrigued! The photos really add to the story. Nicholas, your research and writing are impressive. What a way to begin the day, wow! If you enjoyed this, you may wish to see more posts in my History category. Fascinating glimpse of history, amazing what they got up to, isn’t it? I found all this poisoning information fascinating. To have to live on guard to that prospect shows some creative solutions. I am glad I could make your dog do a happy dance! I look forward to reading your work. What a post! Homeopathic self-medicated remedies against being poisoned in Ancient Greece, alongside quack goat hairball-inspired cures that are just insane. 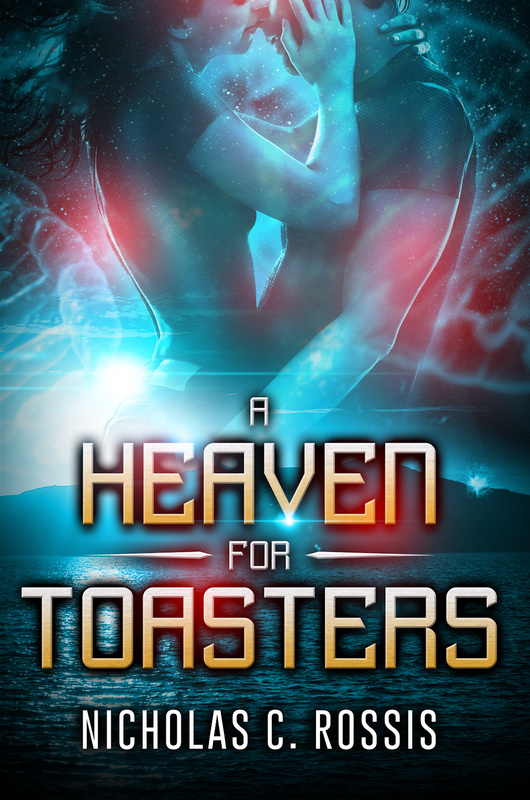 As if that wasn’t enough, we have a great sci-fi giveaway, and short stories too. A brilliant start to the weekend, Nicholas. That’s really fascinating. I’ve not given much consideration to poisoning and the lengths people would got to to avoid it. Definitely info to add to the idea bank! Thanks. Thanks for the history lesson, my dear! It’s just what i needed at 12:35 A. M., to keep me more awake than I already was! LOL Enjoy your stop today, Nich! It always leads me to wonder who it was that first suggested an animal hairball as an antidote for poison, and why they would even think anyone would believe it. In pretty much the same way as someone would suggest powdered rhino horn might help as an aphrodisiac. Is there a prize we don’t know about for the most revolting suggestion the ancients could persuade others to swallow (sorry). – I’ll be you 5 drachmae I can get that guy to swallow a hairball. – No way, dude! You’re on!